Broad market indices are at record highs, with the S&P 500 up 16% year-to-date. But roughly 30% of the stocks in the index have seen their share prices decline this year, including widely owned issues like General Electric Company (NYSE:GE), AT&T Inc. (NYSE:T) and Exxon Mobil Corporation (NYSE:XOM). With the year coming to an end, many of 2017’s losers already are looking to 2018 in hopes of brighter days. In some areas — like the retail sector — this year’s laggards will need more than just a change of the calendar. Many have real risks, given their declines against the rising trend of the overall market. 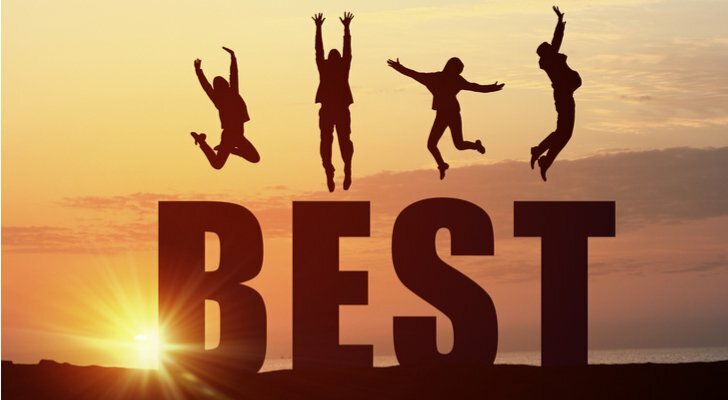 But these 10 stocks that have been dogs in 2017 look like they should be winners in 2018 — and beyond. 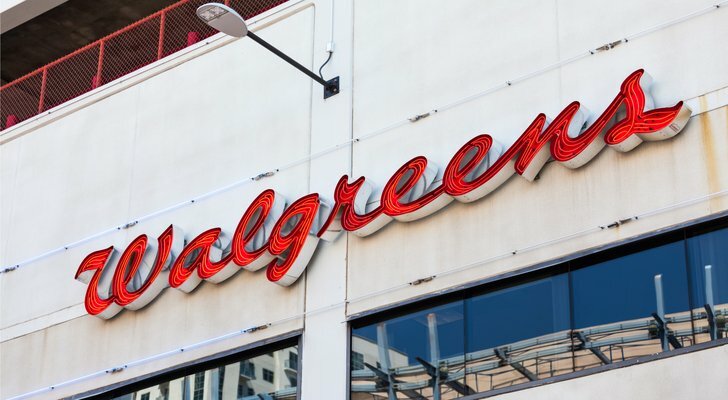 At the moment, Walgreens Boots Alliance Inc (NASDAQ:WBA) looks like another victim of Amazon.com, Inc. (NASDAQ:AMZN). WBA shares have fallen almost 20% just since early September, and hasn’t recovered from the initial reports about Amazon’s interest in the space back in May. But the declines at this point look overblown. The company’s long-awaited acquisition of stores from Rite Aid Corporation (NYSE:RAD) should pay dividends next year. Amazon’s entry seems more a threat to PBMs (pharmacy benefit managers) like Express Scripts Holding Company (NASDAQ:ESRX) than to Walgreens’ retail business. This still is a defensive stock with a major moat — and a cheap valuation. WBA now trades at roughly 11x 2018 analyst EPS estimates, a multiple that suggests profits will decline going forward. Amazon or not, that seems too negative an outlook. And $67 seems too cheap a price. 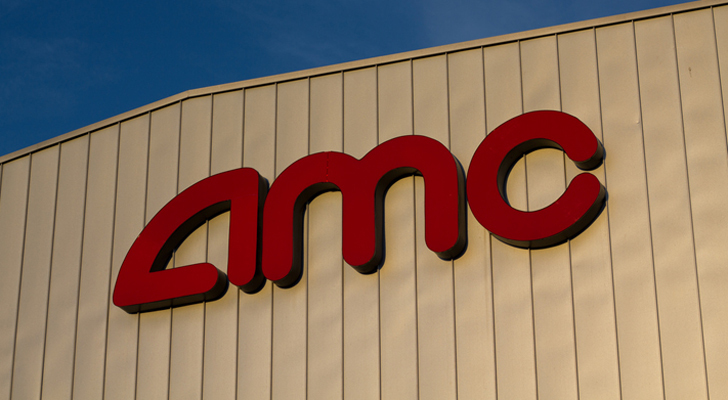 No stock on this list has performed worse than AMC Entertainment Holdings Inc (NYSE:AMC) — and no stock has more risk. AMC has lost nearly two-thirds of its value so far this year. The stock is coming off a horrible Q2 report. Investors clearly are concerned about the long-term health of the movie industry, with streaming options proliferating from Netflix, Inc. (NASDAQ:NFLX) and its myriad rivals. And AMC’s balance sheet is loaded with debt after a number of recent acquisitions, with its debt-to-EBITDA ratio likely near a dangerous 6x. And yet all isn’t lost. 2017 results have been poor — but so has the slate of movie releases. What looks like consumers abandoning movie theaters very well could be consumers avoiding movies that simply don’t look very interesting. The potential death of the movie theater has been predicted for years — but 2017 results aside, it hasn’t happened yet. If this year’s weakness is just a case of bad movies, and not a case of consumers staying home for good, then AMC’s dividend, yielding 6.6%, might be sustainable — and AMC stock will have more upside. Netgear, Inc. (NASDAQ:NTGR) is another company facing possible external threats. NTGR’s dominance in wireless routers is being challenged by ‘mesh’ products from Alphabet Inc (NASDAQ:GOOG, NASDAQ:GOOGL) and startup Eero, among others. Operating margins in the second half of 2017 are being compressed by increasing marketing spend behind Netgear’s Orbi mesh product, as well as its Arlo cameras and high-end Nighthawk routers. Fears of declining revenue and compressed margins have kept a lid on NTGR stock so far this year, even after back-to-back earnings beats. But here, too, the narrative looks far too negative. Arlo sales are soaring: they’ve more than doubled this year and now account for over 30% of total sales. Netgear has battled larger tech rivals in routers for years — and continues to win, with over 50% market share. Meanwhile, the balance sheet is pristine, with nearly $12 per share in cash and no debt. Margins should expand next year, returning Netgear to profit growth. And a sub-12x forward EPS multiple excluding that cash looks far too low in that scenario. Arlo growth alone should drive growth – and a higher multiple. That should make 2018 a much better year for Netgear stock. Amazon, of course, has disrupted the grocery space as well, with the acquisition of Whole Foods Market this summer. Grocery stocks have tumbled, among them Smart & Final Stores Inc (NYSE:SFS). Amazon isn’t Smart & Final’s only competitive problem. European retailer Aldi has entered the southern California market, which led to rising short interest in SFS even before Amazon’s surprise move. With a decent amount of debt on the balance sheet, decelerating (and eventually negative) same-store sales growth, and margins compressing, there are some pillars for a short case here. But here, too, the decline seems overwrought. About 45% of revenue actually comes from sales to businesses like restaurants, much of that through the company’s Cash & Carry brand. Management has largely dismissed the Aldi threat, citing a roughly $1,000-$2,000 impact per store per week. Direct competition with Whole Foods should be limited as well. Investors who believe the market has overreacted to the Amazon-Whole Foods tie-up naturally look toward Kroger Co (NYSE:KR), as Laura Hoy argued on this site last month. The weakness in retail stocks has bled into retail landlords like GGP Inc (NYSE:GGP). GGP was down about 30% from mid-2016 highs and declined nearly 24% in 2017 before bouncing back in early November. Fellow ‘Class A’ mall operators Simon Property Group Inc (NYSE:SPG) and Macerich Co (NYSE:MAC) similarly have struggled. A disastrous third-quarter report and dividend cut from CBL & Associates Properties, Inc. (NYSE:CBL) only added to the pressure and sent GGP to its lowest level in some four years. But the argument for GGP is that its higher-end properties should be more immune to retail pressure than those of lower-end operators like CBL and Washington Prime Group Inc (NYSE:WPG). It’s an argument that makes some sense, given that results at GGP still show little sign of weakness. Same-store net operating income rose in its third quarter, and occupancy actually rose 80 bps from Q2, clearing 95%. Q4 guidance was strong as well. Yet GGP now trades at barely 12x its guidance for 2017 FFO (funds from operations), and yields 4.6% — not including a special dividend paid earlier this year. GGP management — echoing commentary from Simon and Macerich — insists that demand exceeds supply for its Class A properties, and long-term even exits by big-box retailers like Sears Holdings Corp (NASDAQ:SHLD) and J C Penney Company Inc (NYSE:JCP) should be a benefit, by creating room for smaller tenants at higher rates per square foot. Somewhat surprisingly for a macro-sensitive group, airline stocks have not performed all that well in 2017, and Hawaiian Holdings, Inc. (NASDAQ:HA) has had the worst performance among U.S. passenger carriers. The issue has been competition. In June, United Continental Holdings Inc (NYSE:UAL) announced it was adding flights to HA’s home market. Combined with a downgrade to “sell” from Stifel Nicolaus, HA shares fell 10.5%. Now, reports suggest that Southwest Airlines Co (NYSE:LUV) will enter the market area, further pressuring HA stock, which now trades at a 21-month low. As a result, HA stock now trades at under 8x next year’s EPS and 17% below even the target set by Stifel Nicolaus in June. Management has argued that it can manage the new competition, given already-full capacity on flights to Hawaii from Hawaiian and its rivals. The same stronger economy helping broad markets should boost demand, and a moderation in jet fuel prices could help as well. The airline sector always has been a tough place to invest — but even Warren Buffett has changed his mind on the space. At the moment, HA looks like the most intriguing play in the industry. Shares of Edgewell Personal Care Co (NYSE:EPC) have fallen off a cliff of late, touching their lowest levels in almost five years on Friday. Here, too, the decline seems overwrought. There are concerns. Pricing pressure on core shaving brand Schick appears to be mounting, with Procter & Gamble Co (NYSE:PG) brand Gillette advertising a broad range of price cuts. Edgewell guided for organic sales to decline 1%-2% in its fiscal 2017, with weakness expected in its Feminine Care business as well. But EPS guidance actually was raised coming out of the quarter, with the company expecting 11% growth this year. Another $25 million-$30 million in cost savings is expected next year, itself enough to drive high-single-digit EPS growth on its own. EPC now trades at just 16x the midpoint of FY17 guidance, a significant discount to PG (which itself is struggling with growth) and the personal products space as a whole. EPC’s size — enterprise value is under $5 billion — and brands make it an intriguing acquisition target as well. But on its own or in a buyout, either way EPC looks just too cheap. To give an idea of how 2017 has gone for proppant manufacturer Fairmount Santrol Holdings Inc (NYSE:FMSA), the stock has risen 87% from its August lows — and still is down about 60% since the start of the year. But there’s reason to see the recent rebound continuing. FMSA unquestionably is a high-risk play, given its direct reliance on U.S. shale, in particular. But that industry looks increasingly healthy, and higher oil prices should continue to support drilling output. Both FMSA and rival U.S. Silica Holdings Inc (NYSE:SLCA) should benefit in that scenario — and FMSA, in particular, should have plenty of room to run. One of 2016’s better-performing IPOs has turned into one of 2017’s more disappointing stocks. Duluth Holdings Inc (NASDAQ:DLTH) now is down by more than half from late 2016 lows, in large part due to a couple of disappointing earnings reports, including a fiscal Q1 release in June that led the stock to drop almost 19%. But this may be a case where expectations simply were too high – as Duluth’s performance still seems reasonably strong. Sales rose 31% in the second quarter, for instance, with Adjusted EBITDA climbing 27% and net income rising 18%. And yet with the recent pullback, DLTH trades at just 26x the midpoint of FY18 guidance, with room for expansion both in terms of its retail stores and its direct-to-consumer business. There’s a reason why DLTH’s IPO was successful. Duluth still has an intriguing concept — and still is driving plenty of growth on the top and bottom lines. That growth may have disappointed, but not enough to support a 50%-plus haircut to DLTH stock. Goodyear Tire & Rubber Co (NASDAQ:GT) hasn’t had a bad 2017, necessarily, with the stock down a touch under 5% YTD before recovering over the past month. Investors who bought the dip were rewarded, as GT stock traded at its lowest levels in about eleven months after a modestly disappointing Q3 report in late October. There are challenges. Input costs have risen, and “peak auto” concerns are hitting valuations across the space. Revenue is down 1% so far this year, with tire volumes off 6%. Adjusted net income has declined 30%. But GT also trades at under 10x 2017 EPS estimates, with analysts projecting a rebound in 2018. If those analysts are right — or close — GT’s 2018 should be much better than its 2017. As of this writing, Vince Martin was long shares of NTGR stock. Article printed from InvestorPlace Media, https://investorplace.com/2017/12/loser-stocks-to-buy-new-year/.